If you’ve ever had a Perfect Week, then you know how great it can feel to connect with God in His Word each day. Maybe you’ve tried this for more than a week — maybe a month, or even all year! It’s good to think big, because God’s plan for you is big. But at this point in the year, it’s easy to get off track, especially after a broken Streak. That’s why we created the Mid-Year Challenge – to help you renew your Bible reading habit, one day at a time, doing the simple Plans you love. Take the 7-day challenge and begin seeing longer Streaks and even more Perfect Weeks. 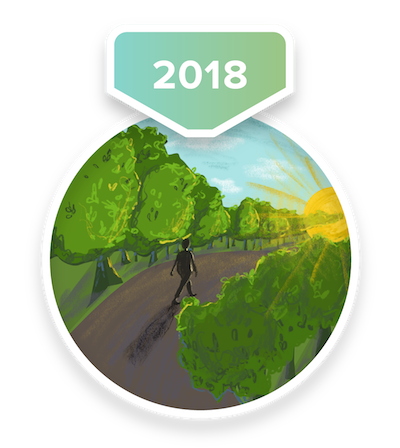 Plus receive a 2018 Mid-Year Challenge Badge in your Bible App profile! Invite your friends to join you in the Bible App for this year’s Mid-Year Challenge! And, when you share about it on social media, be sure you include the hashtag #BibleResolution. The Mid-Year Challenge begins July 8, 2018 and runs through July 21, 2018. To be eligible for a badge and for the prize drawings, you must complete at least one day’s reading (or listening) of at least one Plan, every day for 7 days. If you already started a Plan before July 8, just keep going, and do not miss any days. You don’t have to do a Plan that lasts 7 days. You can do Plans of any length, even if they’re longer or shorter than 7 days. Simply make sure that you complete at least one day of at least one Plan every day for 7 days in a row. 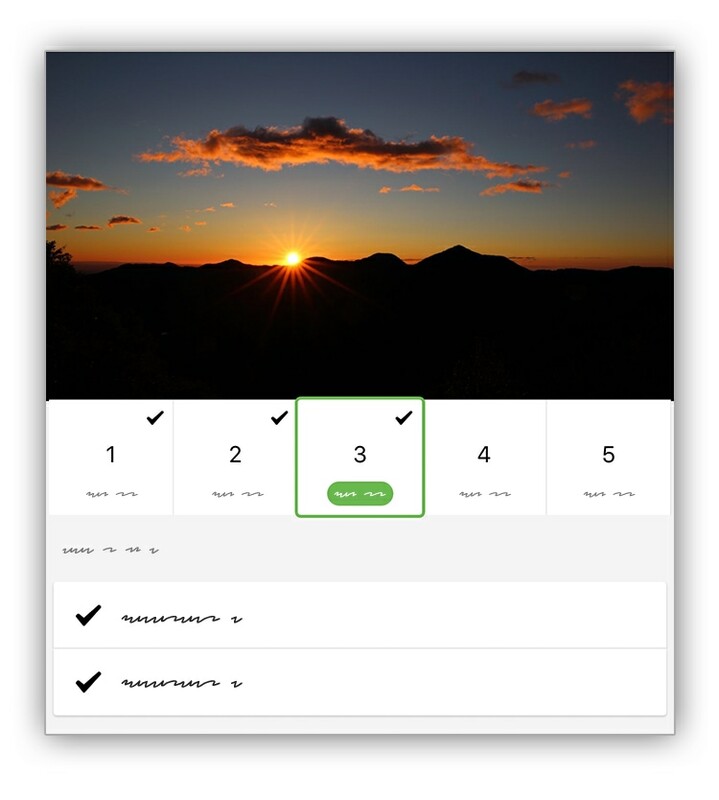 Each time you complete a day, make sure that all of that day’s selections are checked as completed. To view your Badges: In the Bible App, go to your profile and select Badges. 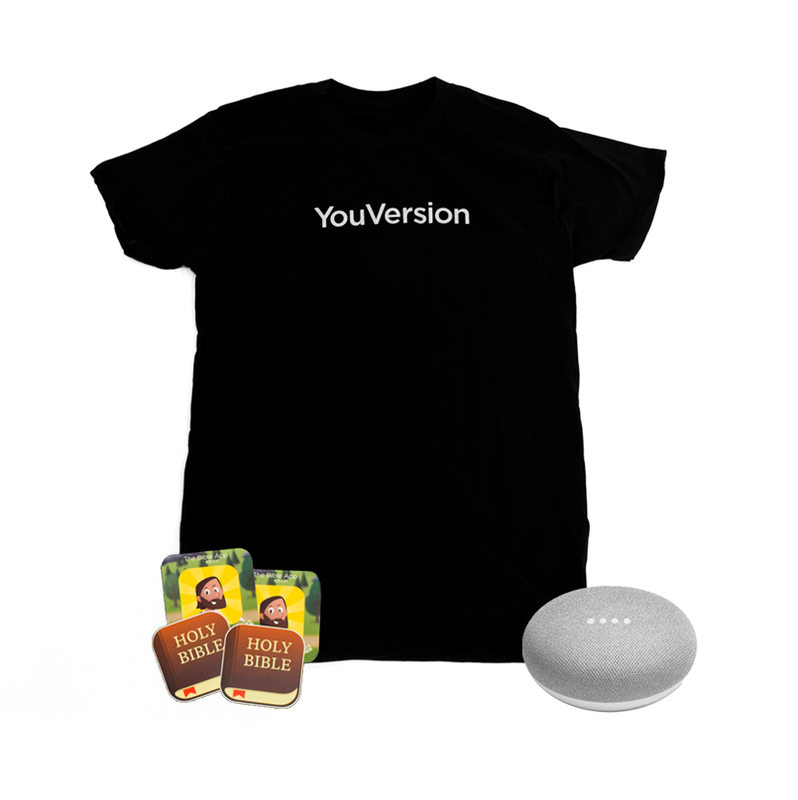 The grand prize will include fun YouVersion items like a T-shirt, stickers, mug—and even a brand-new Google Home Mini! 1 Prizes are subject to change or substitution based on availability. Winners will be contacted with details about how to receive their prizes. Some items not available for shipping internationally. Tap Start, select With Friends, set the start date for July 8, and invite some friends to join you! Just remember to start your Plan on July 8! Previous PostPrevious How can 5 minutes create lasting rest?